Surrounded by Hawthorn and Privet hedges, our beautiful, heritage, English style cottage garden at the Racecourse Inn puts on an impressive display all year round, but truly comes to life in Spring and Summer.? The garden was planted with year round colour and structure in mind, with a magnificent display of Autumn leaves, and a selection of picking flowers and shrubbery in winter, the legacy of several keen gardeners over many years. This beautiful garden features some unusual trees and shrubs, including Tree, Species and hybrid peonies, Man ferns, Oak leafed hydrageas, Laburnum, Japanese rose (Kerria Japonica), Forsythia, white and pink Prunus, Shasta daisies, Pompom tree, numerous Camellias, Rhododendrons and Azalias, Winter and spring flowering Clematis,? 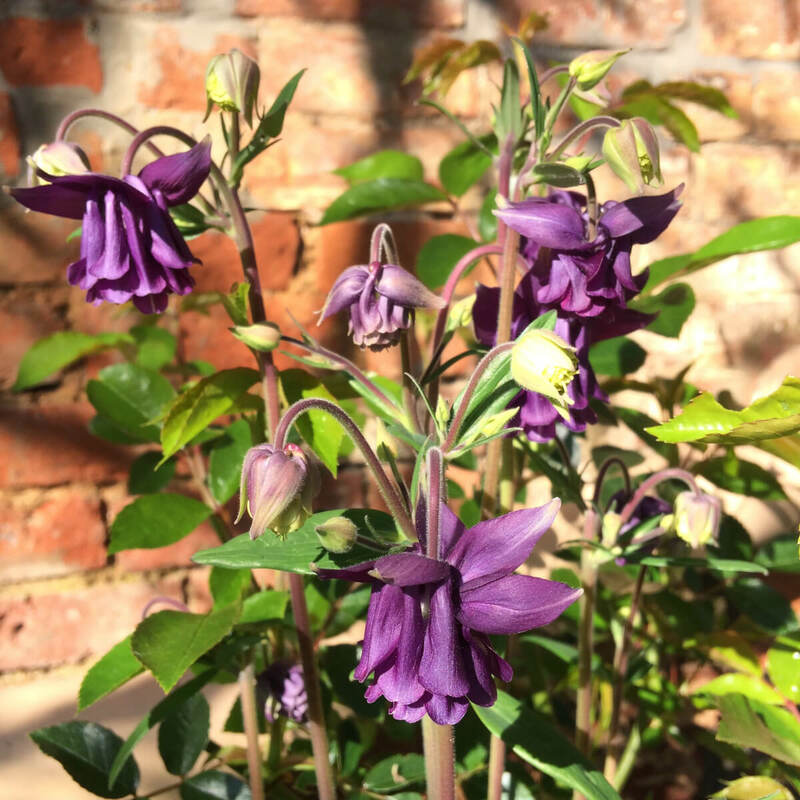 Honesty, Foxgloves, Asters, Lupins, Larkspurs, Canterbury Bells, Star of Bethlehem, Solomons’s seal, Japanese wind flowers, Hellebores, Tiger lilies, Lily of the valley, Water Iris, Verbena, Viburnum sargenti unudata, Stephenandra,? Indian hawthorn, Flowering dogwood (Cornis florida rubra), Purple elderberry, Variegated Abelia, Correa alba and Correa hybrid “Annabelle”, Eriostemon, Tasmanian Climbing Blueberry (Billardiera Longiflora), Tasmanian Mountain pepper berry (Tasmannia lanceolata ), Leucadendrons, Wattle, Bottlebrush, May bush (Spirea), Variegated Wygelia, Bronze Fennel and several different Buddleja, including dwarf Buddleja. The Racecourse Inn is one of the featured gardens in the 2017 Longford Blooms Open Garden day, on Sunday 18th November, 2017. Trees, shrubs and climbers include two Pink Crabapples (Malus ionensis plane), Magnolia soulangia and M. stellata, Tasmanian Leatherwood (Eucryphia lucida), Elderflower (Sambucus canadensis and Sambucus nigra), Manferns, Golden Chain (Laburnum), Strawberry dogwood (Cornis capitata), Red flowering dogwood (Cornis florida ruby), Golden Ash, Pompom tree (Viburnum), Viburnum sargentii onondaga, Indian bean tree (Catalpia bignonioides), Persian lilac, Ornamental almond, Persian witch hazel (Parrotia persica), Prunus “Snow Fountain”, Clove currant (Ribes odoratum), Oak leafed hydrangeas, Climbing hydrangea, various Clematis, Gingko (Ginkgo biloba) and a White Horse Chestnut. 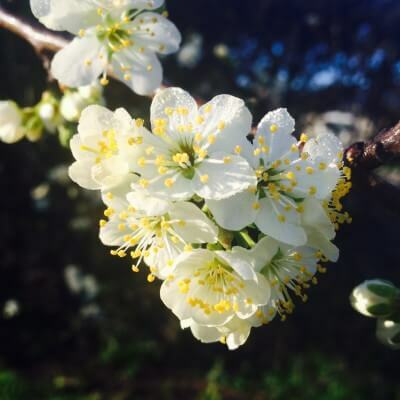 Our orchard includes a Kentish cherry, Greengage plum, Quince, Variegated kumquat, Blood plum, Apricots, Peaches, Nectarine, Raspberries, Loganberries, Gooseberries, Strawberries, Pears, Apples and Rhubarb.